Until my lungs are on fire and my legs ache. Until I’m several miles from home, and I’m not sure when to turn around. I may even want to get lost. Sweaty. Exhausted. Numb. But there’s two problems with this. First, the doctor said no exercise for 7-10 days. Second, it’s freezing cold. Bitter cold. Why do bad things always happen in winter? This is not at all how I pictured my week going. It’s not how I pictured any part of my life, really. You always imagine the happy parts you hope your future will hold. You never imagine the ones that rip your heart out. Of course not. Those are the moments you don’t anticipate. But you might as well. Because they’re going to happen. The next thing I know I’m waking up to two nurses giving me water through a straw in a small plastic cup. I can see the ice floating on top. It’s the small, shaved kind like you get in snow cones. Like they have at sonic. At least this place has quality ice, I thought. “Is it over?” I asked. The nurses looked about my age. Maybe a little bit older. They were very nice. Gentle. They helped me get dressed. “Yes, you’re in recovery,” said the shorter one. Everything felt fuzzy. I put my head in my hands and cried. I always wondered what it might feel like to have a miscarriage. I never imagined it the way I imagined having children, but I knew it was a somewhat common thing, and I wondered what I would do if it happened to me. Of course I never thought it would. Then it did. 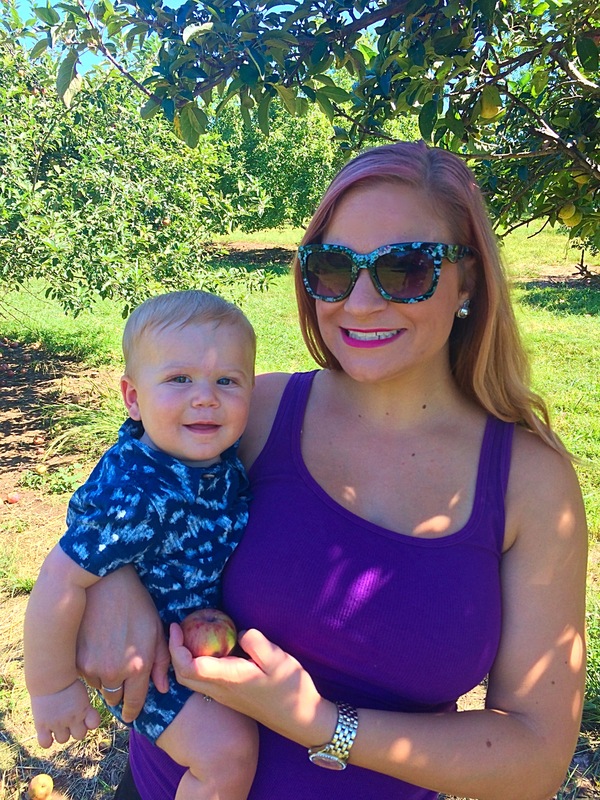 I was eight weeks along and anxiously awaiting my first prenatal appointment with my doctor. My husband and I were planning to go home and surprise our parents that weekend. Valentine’s Day. We cut out construction paper hearts and decorated them with stickers and markers to share the news — they were going to be grandparents! We were nervous and excited. The visit started off with a sonogram. The ultrasound tech put the gel on my belly, just like I had seen in movies and on T.V. She placed the instrument on my stomach and in no more than five seconds declared that I needed a transvaginal ultrasound. What? How could that be? I knew I was. My cycles were like clockwork. I had missed two periods. There was no way I was much earlier than eight weeks. She poked around for a while, and didn’t say a word. “Well there’s definitely a sac…….” she trailed off. There’s nothing there. It’s empty, I thought. I didn’t know what exactly I should be looking for. But I knew that wasn’t it. I started to cry, and the ultrasound tech left the room. The rest is kind of a blur. The doctor said he would do some blood work and call me with the results. He tried to reassure me that I could just be really early, and we may just need to try another sonogram in a couple weeks. I tried to believe him. I maybe did for a minute or two. But I know my body. I knew I was eight weeks pregnant. And I knew it wasn’t right. The phone call the next day confirmed that my hormone levels were too low, and my pregnancy was not viable. Something called a blighted ovum…when a fertilized egg implants itself into the uterine wall and a gestational sac develops, but the embryo doesn’t. The body still thinks it’s pregnant, and the hormones levels are high enough to produce symptoms and a positive pregnancy test….but the pregnancy does not develop the way it is supposed to. The doctor scheduled me for a D&C procedure the next day to remove the pregnancy. I didn’t hesitate to agree to the procedure. I had been bleeding and cramping, and I did not want to pass the pregnancy on my own at home. It would have taken weeks. It would have been painful and long. Although I had been anticipating the call for more than 24 hours, it still hit me like a tidal wave. How could this be happening? I was devastated. I cried for several days. Actually, I cried for a week — falling asleep and waking up to tears. My husband trying to console me, and sometimes crying too. My dog putting her adorable fluffy face in my lap every single time I broke down. I couldn’t concentrate on anything or even talk much. I just laid on the couch, mindlessly watching Netflix….my eyes welling up and blinking to release the moisture. September. It was perfect. The beginning of fall. The end of summer. A time for farmer’s markets, fall festivals and caramel apples. No other major holidays or birthdays in the family. A month all of his or her own. He or she would be one of the oldest in his or her class. I had become very attached to the idea of September. I knew I had to let September go, but I couldn’t. I didn’t want to. It wasn’t fair. Why me? What had I done? Had I run too much? Did I not eat enough fruits and veggies? Is this because I had a sandwich with deli meat around week six? The internet will tell you that 10 to 20 percent of known/established pregnancies will end in miscarriage. My doctor said the number is more like 23%. It is not uncommon. Most people know at least one person who has had a miscarriage. I knew this as it happened to me. And as I confided in friends and family I learned of more people who had also suffered miscarriages. But knowing you aren’t alone doesn’t make it any easier to get out of bed in the morning. When you are mourning a loss, statistics mean nothing. I had told a decent number of people about my pregnancy. It’s just how I am. And also, my friends like to drink. There’s always a bottle of wine or a pitcher of margaritas when we get together. As soon as I turned down a drink, everyone suspected. I didn’t even have to say it. I would just say, “I’m not going to have a glass of wine…..” and immediately eyes would get wide, breath sucked in, a shocked, “NO WAY!” and a giant hug. I didn’t mind people knowing because I knew if something went wrong I would need a support system. And, well, I didn’t think anything would actually go wrong. When it did I was so very glad for the people in my life. The outpouring of support and love. In the midst of heartache I had never known, I also felt like I had won the friend and family lottery. Even though I was struck with grief, I also knew I had a lot to be grateful for. I did not already have children, so I was able to really take time for myself. I was early in my pregnancy. Had I already picked out a name or even bought one baby item the whole ordeal would have gone from painful to excruciating. I was able to take off work, to go home and see my parents. I was grateful to have the procedure — closure in what would have been a long and painful miscarriage. I could afford the procedure because I have insurance. I did not have to climb through red tape between the phone call with my doctor and my arrival at the surgery center — there was no waiting period or thick booklet with inflammatory and shaming language. I did not have to get anyone’s permission or written consent. As absurd as it sounds, some countries mandate miscarriage reporting and women are criminalized and jailed for having miscarriages. Can you imagine? In fact, last year, lawmakers in Kansas tried to advance a bill that would require miscarriage reporting to the state. My life is not up for political debate, and my pregnancy is not a political football. As I laid in the hospital bed staring at the ceiling and waiting for the doctor, I was grateful that this was mine. Not that it was happening, but that it was mine when it did. My personal decision. My personal experience. My grief. My heartache. My family. My life. For no one else to interject, and certainly for no one else to tell me what to do or how to feel. This experience showed me just how deeply personal the experience of pregnancy is. That there is never a guarantee. That what women experience throughout our reproductive lives is so individual, so deeply connected to who we are as people and varies so widely there can’t possibly be one story that tells it all. One mandate that covers all scenarios. Women know themselves. We know our bodies. We know our hearts. We know when a pregnancy is right and when it is wrong. We know what is best for our families. We know when to parent and when not to parent. I chose September, and I wanted September badly. September was an expectation of what could have been, yes, a hope, but September was also very real to me. I will always have and remember September. Many women who have miscarriages go on to have healthy pregnancies. While I hope a healthy pregnancy is somewhere in my future, September will always be a part of me. I wrote this because I wanted to share my experience. One of the only things that has helped me heal is talking about it. Some people grieve silently and need their space. I gain strength through openness, through connection with others. I have often heard miscarriage referred to as a “silent sisterhood.” Something somewhat common, but never talked about. Here’s to sharing our stories. Showing our strength and telling our tales. Here’s to loss and what could have been. Here’s to hope and holding September in my heart. Thank you so much, Lauren. That really means a lot.